Windows 8 to run on smartphone chips ! In his keynote speech at the Consumer Electronics Show (CES) in Las Vegas, Microsoft CEO Steve Ballmer revealed that Windows 8, the next version of Microsoft's desktop operating system, will be able to run on much smaller mobile devices like phones. He revealed that Windows 8 will support system-on-a-chip (SoC) architectures from the likes of Cambridge-based ARM and Texas Instruments, as well as upcoming SoC systems from Intel and AMD. Traditionally, running Windows applications on mobile devices has required that the application be rewritten specifically to address the mobile form-factor. 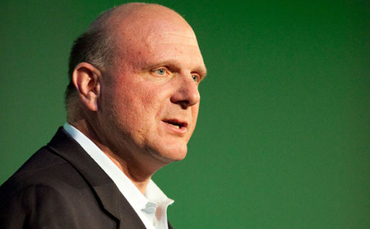 "It's really all about enabling a new class of hardware," said Ballmer. He said Windows 8, which is expected to be released next year, will support the standard X86 processors but will also be usable on Nvidia, Qualcomm and Texas Instruments hardware running ARM architecture. Ballmer said Intel and AMD are developing new low-powered SoC systems that will be supported by Windows 8 and would be able to run native X86 applications. Ballmer said that users will begin to expect the full Windows experience from any device, and that Windows 8 would address that need.